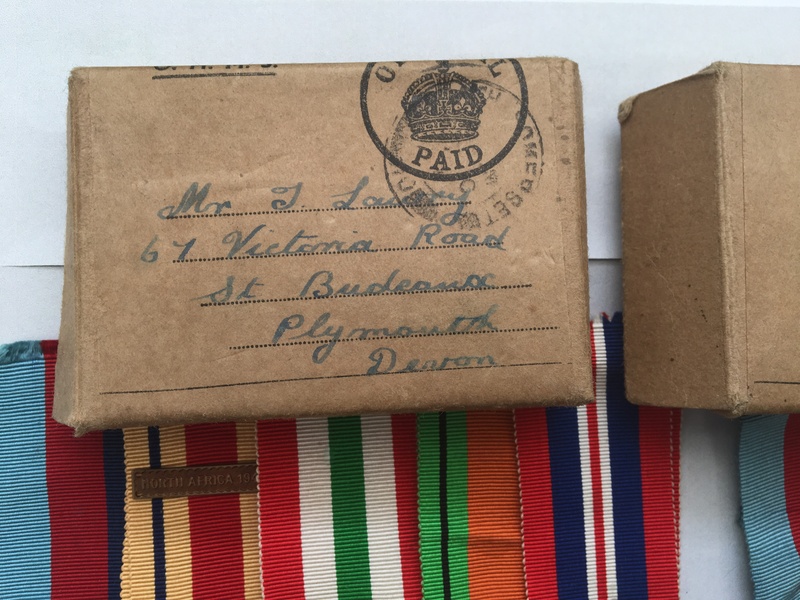 A WW2 Royal Navy family group with original boxes of issue to the same address attributed to Mr and Mrs J. Lawry of Victoria Road, Budeaux, Plymouth, Devon. 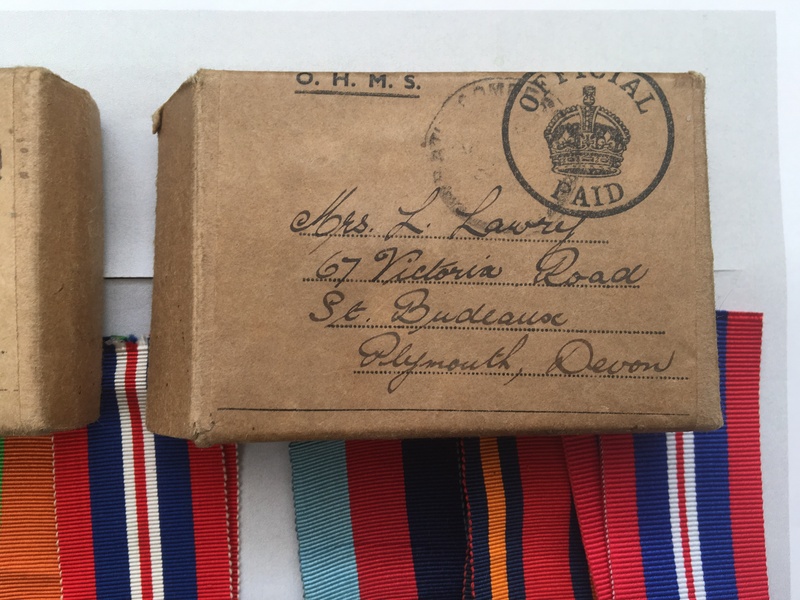 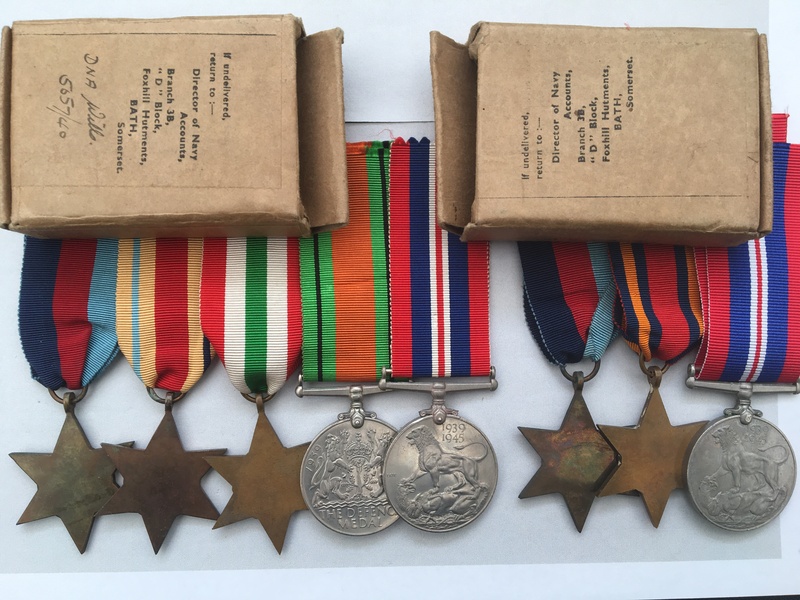 The medals are loose, and both sets of medals come with their original box of issue along with the Admiralty Medal Awards Slips. 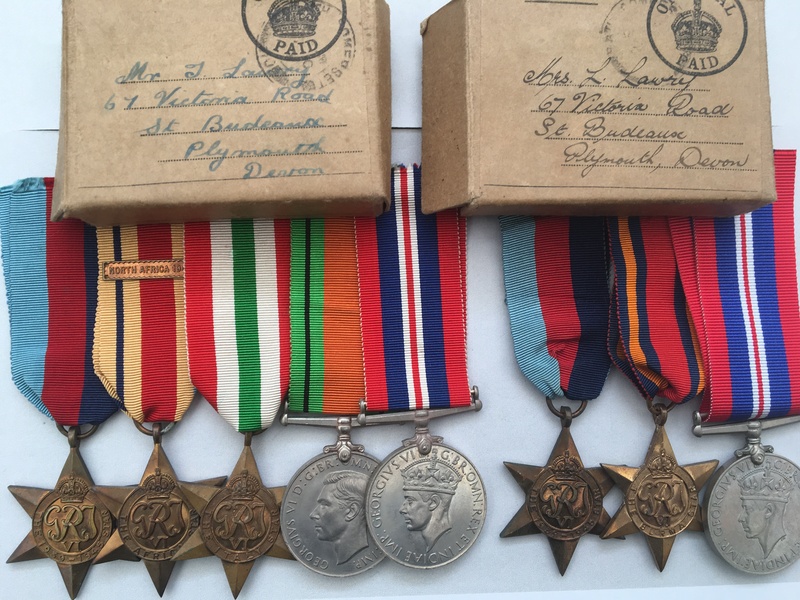 I have undertaken no further research in regards to this family.